Law Office of David Piotrowski - Page 2 of 89 - California eviction attorney and household goods tariff publishing. Civil Code 1954, also sometimes referred to as CC 1954, explains when and under what circumstances a landlord may enter a residential dwelling unit in California that is currently occupied by a tenant. This is a lot of information to absorb, so I want to take some time to highlight the main parts of Civil Code 1954 and emphasize the parts that come up the most in the landlord-tenant context. You will notice that Civil Code 1954 does not give a landlord/agent the right to enter at any time and for any reason, even with proper notice. A landlord must have a reason that fits into one of the above categories in order to enter the property. Two of the most common reasons would be to make repairs or to show the property to prospective new tenants when the current lease is expiring. The most common way to give notice of entry under CC 1954 is to post a notice at the door at least 24 hour in advance. The entry can only be during normal business hours. Good leases will specify what constitutes normal business hours. But if the lease is silent on this issue, then generally accepted normal business times would apply to satisfy the business hours requirement under CC 1954. Even though posting a 24 hour notice at the property is probably the most common way of giving the tenant notice, there are other accepted methods of giving notice. The notice can be hand delivered to the tenant, left with someone else of suitable age and discretion at the property, or mailed. But if the notice is mailed to the property, 24 hour notice is not enough — a landlord would need to give at least 6 days notice if the Civil Code 1954 notice is sent via mail. While Civil Code 1954 gives the landlord rights to enter a dwelling unit, the landlord is prohibited from abusing this right or using it to harass the tenant. If the landlord has a valid reason for entry and gives proper notice to a tenant under Civil Code 1954, and the tenant refuses entry, the landlord would then have the right to give a 3 day notice to the tenant. Furthermore, if the landlord goes to the property to enter and finds that the tenant has changed the locks without permission, the landlord would also want to give the tenant a 3 day notice. We discuss the 3 day notice in other blog articles. In the case of an emergency, such as a water or gas leak, the landlord can enter at any time of the day, night, or weekend, and with no notice at all. We offer a free, downloadable 24 hour notice template [PDF] for landlords that complies with Civil Code 1954. Be sure to check out our reviews! We look forward to serving you. If you are a landlord, we offer a free consultation on most cases. For example, a CCP 1161(3) cure or quit notice would be appropriate when the rental agreement prohibits smoking, but the tenant is smoking. Another example for when a CCP 1161(3) notice is appropriate is when the rental agreement does not allow pets, but the tenant has a pet at the property. The important thing to remember here is that if the tenant is violating a term of the rental agreement, then in most cases, the landlord will want to serve a CCP 1161(3) cure or quit notice. To reiterate, though, a landlord cannot use a CCP 1161(3) notice if the tenant is behind in the rent. I am often asked what happens after a landlord serves a CCP 1161(3) notice and then the tenant stops the violations, but then starts up again sometime in the future. Landlords ask how long does the notice apply, and whether or not the landlord has to serve a new 3 day cure or quit per CCP 1161(3) all over again. There is no easy response because there is no law that gives a clear-cut answer as to how much time must pass before the landlord would need to give a new 3 day notice. I generally tell landlords that if the tenant breaches the agreement again and does what was prohibited in the CCP 1161(3) cure or quit notice within a couple of weeks of serving the 3 day notice, then the landlord does not need to serve a new 3 day notice before filing an unlawful detainer. But if the tenant breaches the agreement several weeks later, then the landlord may want to exercise caution and serve a new 3 day notice before filing an unlawful detainer. You should speak to a landlord attorney and discuss your specific case in order to come to a good solution. Make sure the CCP 1161(3) notice clearly spells out the violation and what the tenant needs to do to comply. Also make sure that the notice is served properly. The Law Office of David Piotrowski can create and serve a 3 day notice to cure or quit on a tenant in accordance with the rules found in Code of Civil Procedure 1161(3). Read more on CCP 1161(3) here. CCP 1161(2), also known as Code of Civil Procedure 1161(2), is a California code that discusses a termination of tenancy due to the tenant’s failure to pay rent. When the tenant is behind in the rent, the landlord serves a written 3 day notice to pay rent or quit on the tenant. The law that supports the 3 day notice to pay rent or quit is found in CCP 1161(2). If the tenant does not pay the rent within 3 days of being served with the CCP 1161(2) notice, then the next step for the landlord would be to file an unlawful detainer eviction case in court. This video discusses the purpose of the CCP 1161(2) notice, its usefulness, and provides valuable guidance and best practices for landlords. The CCP 1161(2) video also discusses how to count the 3 day notice period and provides some “gotchas” that inexperienced landlords need to be aware of. The Law Office of David Piotrowski can create and serve a 3 day notice to pay rent or quit on a tenant in accordance with the rules found in Code of Civil Procedure 1161(2). Read more on CCP 1161(2) here. Be sure to check out our reviews! We look forward to serving you. We offer a free consultation on most cases. How do you terminate a month-to-month tenancy in California? California Civil Code 1946 and Civil Code 1946.1 discusses the rules relating to terminating a month-to-month tenancy in California. A 30 day notice is used when the tenant has lived at the property for less than 1 year, and a 60 day notice is used when the tenant has lived at the property for one year or more. This video discusses the purpose, usefulness, and ends with guidance and best practices for landlords. Landlords should read and become familiar with Civil Code 1946 and Civil Code 1946.1 before serving a 30/60 day notice on the tenant. 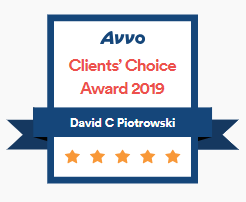 The Law Office of David Piotrowski can create and serve a 30/60 day notice on a tenant in accordance with the rules found in Civil Code 1946 and Civil Code 1946.1. Read more on Civil Code 1946 and Civil Code 1946.1 here. CCP 1171 and CCP 631 both discuss jury trials. The purpose of this article is to explain how CCP 1171 and CCP 631 relate to jury trials in California unlawful detainer (eviction) cases. Before we dive in, I should note that normally the landlord will not want to request a jury trial. In most cases, an unlawful detainer case turns in to a jury trial because the tenant demanded it. Tenants sometimes demand jury trials because a jury trial will increase the landlord’s costs and expenses and a jury trial takes much more time than a bench (non-jury) trial. Whenever an issue of fact is presented by the pleadings, it must be tried by a jury, unless such jury be waived as in other cases. The jury shall be formed in the same manner as other trial juries in an action of the same jurisdictional classification in the Court in which the action is pending. CCP 631, on the other hand, outlines more of the requirements and the procedure for demanding a jury trial and waiving jury trials. By failing to appear at the trial. By written consent filed with the clerk or judge. By oral consent, in open court, entered in the minutes. By failing to announce that a jury is required, at the time the cause is first set for trial, if it is set upon notice or stipulation, or within five days after notice of setting if it is set without notice or stipulation. By failing to pay the fee on time (unless there is a fee waiver). Together, CCP 1171 and CCP 631 provides the rules for jury trials. Landlords should read through the entire text of CCP 631 for more details. The bottom line is, landlords generally should oppose jury trials, but sometimes a jury trial is unavoidable if the tenant demands it and the demand is not waived. Want to read more on eviction jury trials? Read my earlier post: Did Your Tenant Demand a Jury Trial in a California Unlawful Detainer Eviction Case? The Law Office of David Piotrowski can assist landlords with unlawful detainer eviction cases. We work hard to make your case proceed as quickly as possible.